Plug & Play - no original XBOX One controller needed for verification. Enable turbo / rapid fire function on XBOX One wired controller or XBOX One wireless controller + USB cable. 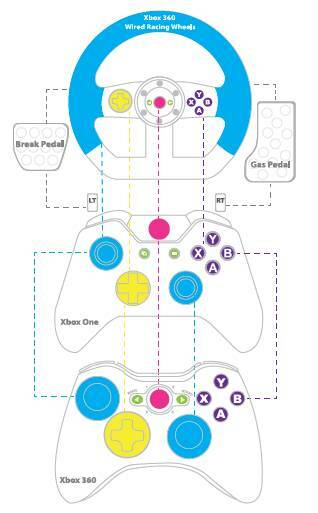 Converts XBOX 360 wired controller to be used on XBOX One console - supports turbo / rapid fire function. Brook Super Converter series makes old controllers compatible with newconsoles. This particular model, the Xbox 360 to Xbox One Controller Adapter, lets you use Xbox 360 controllers such as gamepads, dance mats, joysticks and racing wheels with Xbox One game consoles and Xbox One on PC. 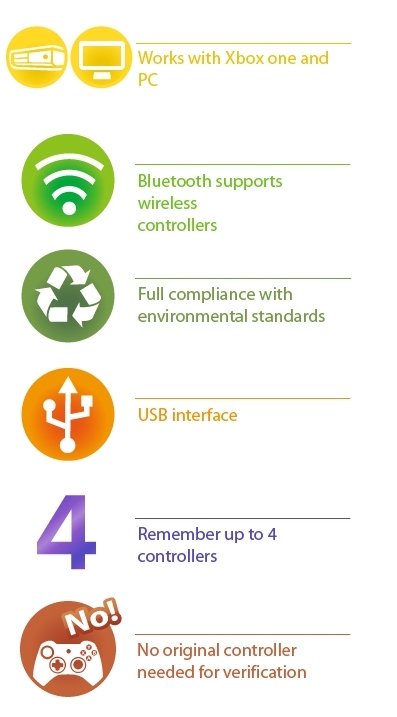 This not only saves you money but also means that you can use the controllers you have grown accustomed to. Installation and use of the Xbox 360 to Xbox One Controller Adapter is effortless. PS: This product can also be used as an “Xbox One to Xbox One” Controller Adapter in that it lets you assign a Turbo function button and customize the button layout of Xbox One controllers. 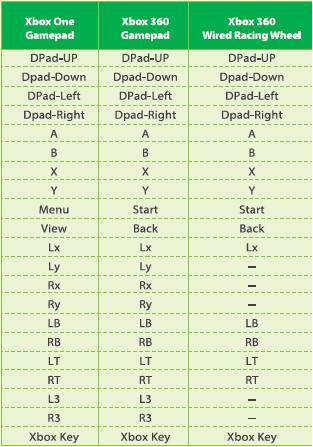 The Brook Xbox 360 to Xbox One Controller Adapter automatically recognizes Xbox 360 gamepads and racing wheels and auto-configures their buttons for use with the Xbox One as shown in the map. No toggling is required. 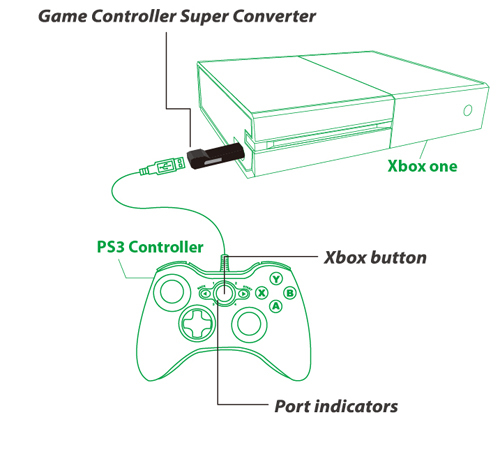 Each Brook Controller Adapter can handle only one Xbox 360 or Xbox One game controller at a time.